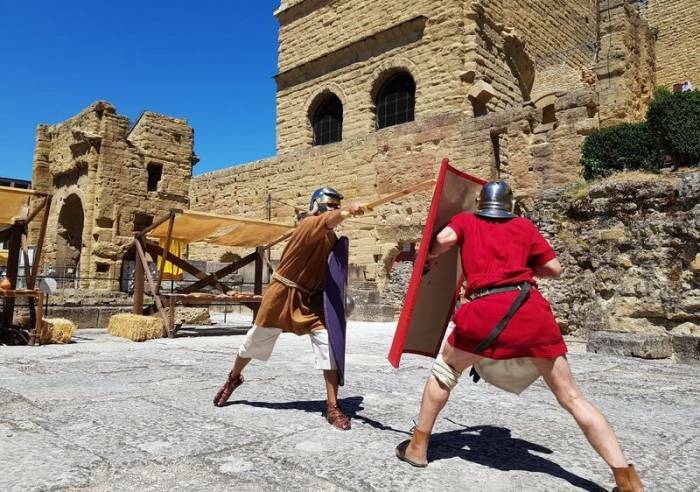 The Roman Theatre in Orange is a fabulous journey back in time to the illustrious past when the theatre was at its peak. 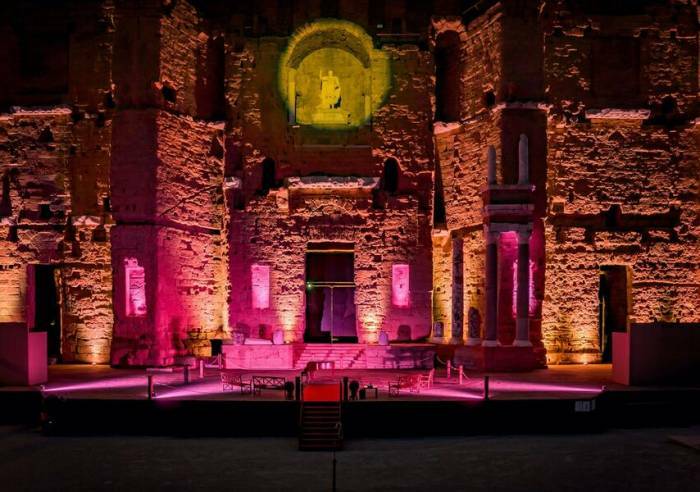 Built under the reign of Emperor Augustus, it is one of the best-preserved Roman theatres in the western world and is ranked as UNESCO World Heritage. 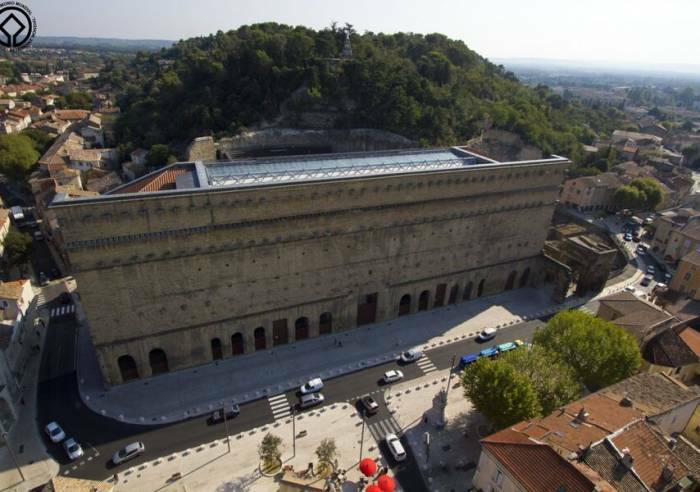 IMPORTANT: because of works of restoration, the wall of stage is not visible any more from September, 2018 to spring, 2019. One aspect of the theatre's great fame is the outstanding condition of its beautiful stage wall. 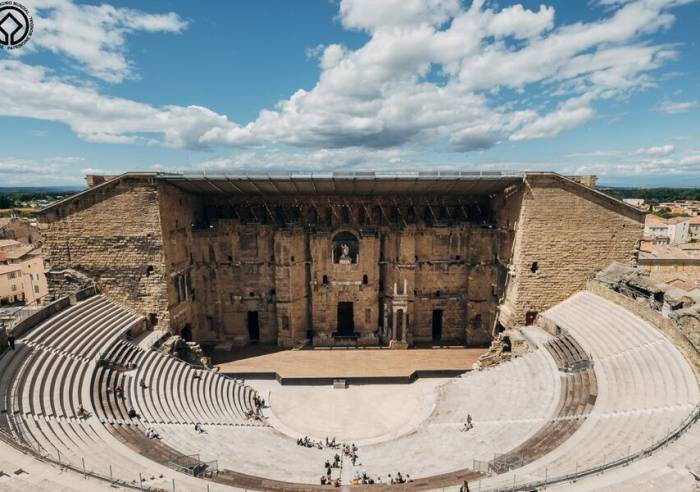 The stage wall is 37 meters high and 107 meters long, and was considered by King Louis XIV - the Sun King - as the most beautiful wall in his kingdom! The northern face of the wall today sets the stage for outstanding operas and concerts. 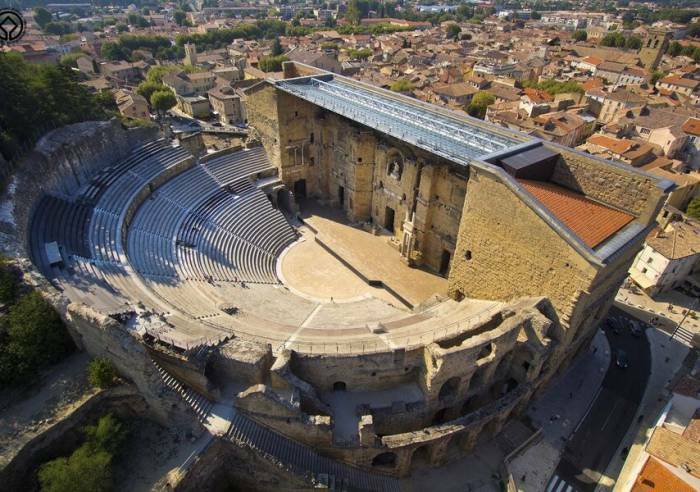 The theatre was designed to hold large crowds during the Gallo-Roman era, and was the vector for spreading Roman language and culture. 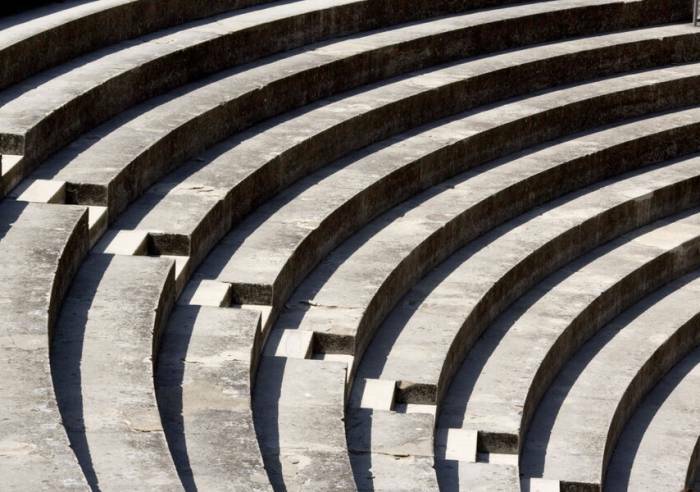 Audiences of 8000 people attended tragedies, comedies, dance, acrobatics and juggling in Roman times. 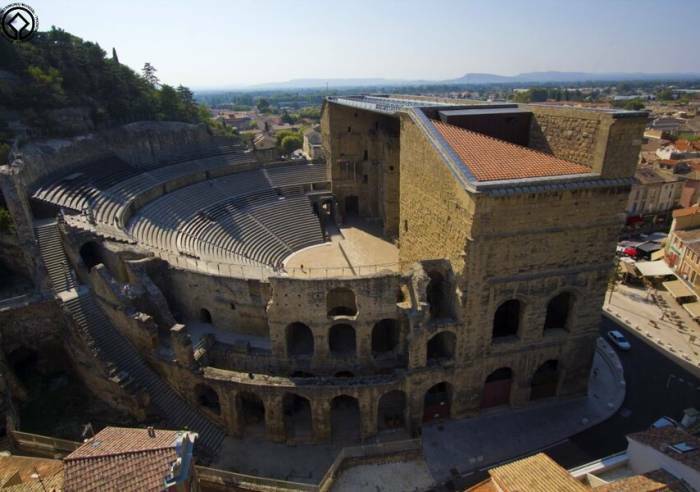 In the 19th century, the Roman theatre began being used for modern-day performances. 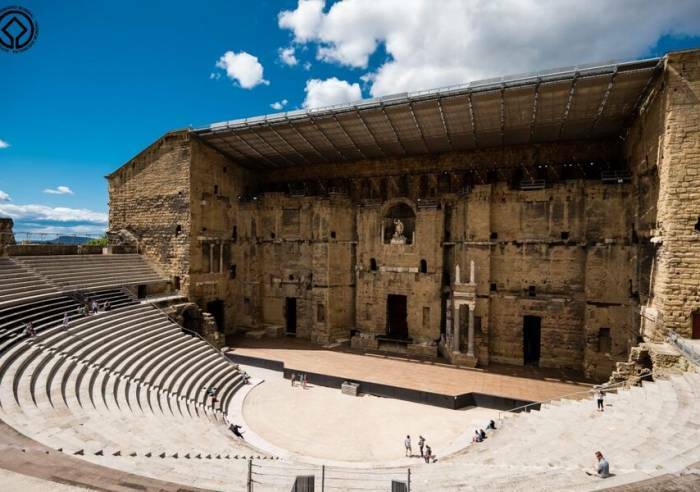 Today, the theatre is the venue for the world-famous opera festival known as Les Chorégies d'Orange and for Roman games and performances. Visit on own with audio-guide in 10 languages; see the film on the history in of the monument since the Roman Empire (in French and English). 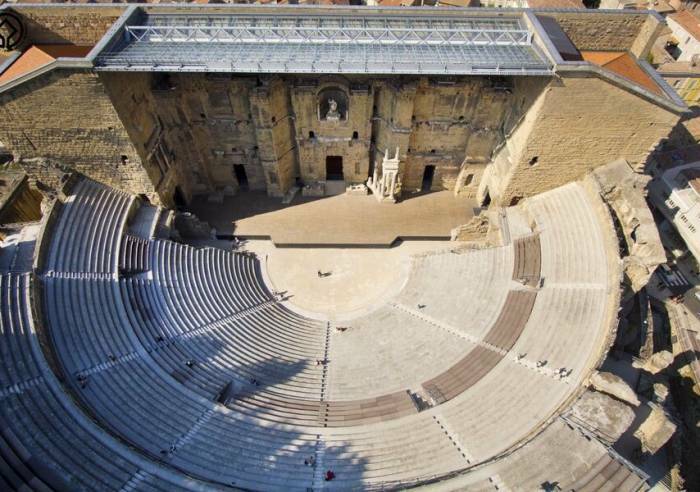 A virtual performance entitled "Les Fantômes du Théâtre" (The Ghosts of the Theatre) adds to the visit. This show is fascinating, surprising, nostalgic, psychedelic, and lyrical and rounds out the visit. 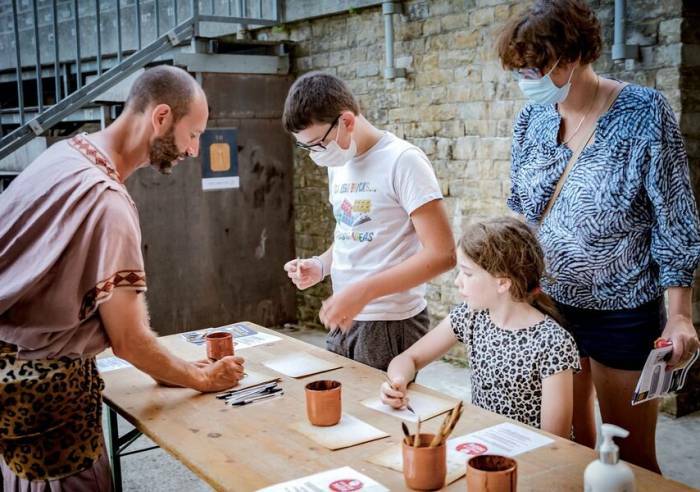 There is also a treasure hunt for children. Guided tours for groups (advance reservation required). American Express, Bank/credit card, Cheque, Chèques Vacances, Cash, Credit transfer, Chèques Culture. , Picnic area, Toilets, Restaurant, Film room, Pets welcome, Educational visits, Room hire, Themed tour, Pets supplement, Shop, Tourist brochures, Booking of general amenities, Online shop.